A is for Anfield: Our second home. The cathedral to all the Reds around the globe! There is no beautiful sight in this world than seeing the famous Kop end in all its glory. B is for Boot Room: Liverpudlians are a proud bunch of people. Fans take great pride in the renowned boot room of the club which included Bob Paisley, Joe Fagan and Ronnie Moran. The Boot Room is where these Liverpool greats mapped the course of all the club's successes in the 80s. C is for Champions League: Liverpool have appeared in the elite European competition just twice in the last decade with the current season being the third time of the Reds' participation. Once a regular in the knockout stages of the competition, Liverpool can now say how important this tournament is to stay in the reckoning. D is for Defence: Going by the looks of it, world peace can be attained before Liverpool solve their defensive woes. Since the Roy Hodgson days, Liverpool have failed to have a solid and settled backline to complement their attacking force. Sadly, the problems have increased under Jurgen Klopp and the German must improve his side in this aspect if he wants to compete for trophies. E is for Expectations: To place exaggerated expectations on the Liverpool squad in recent years has been a norm from the supporters. Having high aims is not wrong but those should be realistic. The Liverpool fan base, be it in the stadium or on social media, are one of the hardest lot to please. A part of the fan base does not come in touch with the reality of the situation and cause negativity when the team fails to comply with their overt expectations. F is for FSG: Fenway Sports Group, the owners of Liverpool Football Club. The jury is still out on the American conglomerate after taking over the club in 2010. FSG increased the capacity of Anfield, took some hard decisions but on the other hand, did not give enough funds for the managers to spend. It has always been about the "net spend" for the owners which has drawn criticism in the last few years. G is for Gegenpressing: Jurgen Klopp arrived in 2015 and with him, brought his famous philosophy of Gegenpress or in simpler terms, Counter pressing. The heavy metal style of football has been highly entertaining when it has been utilised to perfection with the Gegenpressing being hugely effective against the top dogs of the Premier League. H is for Hugs: Klopp and his touchline hugs! Players want it, them on the bench dream of it and the manager loves it. After a solid performance, 'Die Kaiser' runs onto the field and hugs his players in celebration. It must be a brilliant morale booster for the lads in red. I is for Istanbul: The miracle of Istanbul! The greatest Champions League final of all time! The greatest comeback of all time! I cannot stop talking about *that* Istanbul game and if you've ever had a conversation with a Liverpool fan, the topic of Istanbul must have definitely come up. J is for James Pearce: Yes, the Liverpool Echo reporter. Pearce always has the final say on anything related to the club. If he says that the club has interest in a certain player then only the rumour is credited with due importance. The fan base believes whatever he says to be the gospel truth. K is for Killing games off: If you conduct a study, majority of the Liverpool supporters might be suffering from heart ailments. This is because of the way Liverpool defend their lead. Defensive problems are there but to conserve a lead has been a Liverpool problem since the last decade. To see out games or to kill them off has probably become a myth by now for the Reds. L is for Late goals: Under the exciting management of Jurgen Klopp, the Reds have found the mental strength to go on and find late goals to win or salvage a game. Dejan Lovren's winner against Borussia Dortmund was one of the best moments ever to be seen at Anfield. Divock Origi scored one to level against West Brom in the dying stages whereas Adam Lallana scored the winner in a pulsating 5-4 win over Norwich City. M is for Managers: Liverpool revere their bosses in charge! Right from Bill Shankly to Rafa Benitez, the supporters have loved the men who matter the most to the club, except Roy Hodgson. Well, there is always an exception to every thing. N is for Net spend: The owners seem to be obsessed with the mentioned phenomenon. The net spend was in negative terms a few years ago and has not crossed the £60 million mark even once under the FSG ownership. 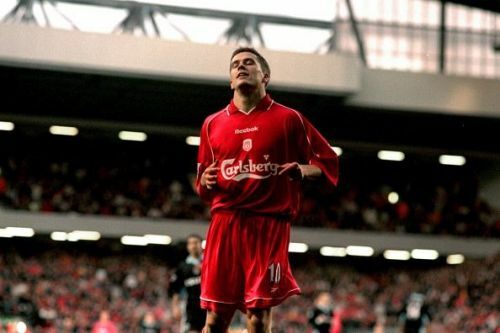 O is for (Michael) Owen: The striker was and is the club's sole Ballon d'Or winner till date. 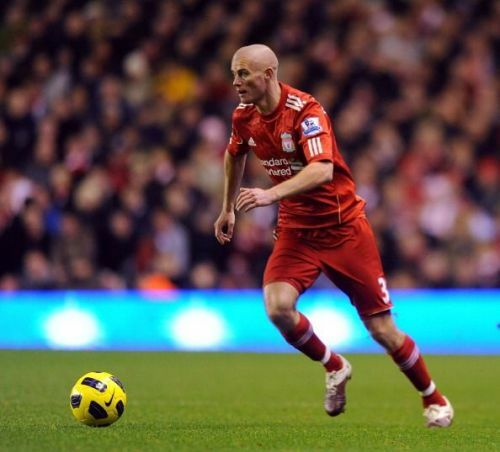 On top of that, he was a local lad who became a superstar at Anfield. However, he still does not receive the adulation. Reason? A spell with Manchester United. What was he thinking? He has said that it was a professional decision and all that, but the reality is that he will never again be accepted by the Red faithful. P is for Please sign some f*****g players: The 2017 summer was expected to be a huge affair but in reality, it has all turned out to be a farce, at least so far in the window. Some of the weaknesses are yet to be addressed without which another season of 'would haves' will go past in front of our eyes. Q is for Que Sera Sera: The 2005 Champions League final against AC Milan was the greatest game that the club ever played in. At half time, the Liverpool fans sang vociferously to up the morale of the Reds who were down and out with a score line of 3-0. One of the chants used at that time was "Que Sera Sera" which translates to 'whatever will be will be'. R is for Robinhood FC: One of the many names that the club have been lousily called is Robinhood FC. But the name is true in its every sense in the past 3-4 years as the Reds have taken points from the rich and the wealthy and dropped them against the relatively weak teams. It cost Liverpool the 2013/14 Premier League trophy with this trait also being repeated under Jurgen Klopp. S is for Set-pieces: This word is enough to send chills to the entire Liverpool backline. Dealing with dead ball situations has not been a cup of tea for Liverpool with the Reds conceding the most goals through set pieces in the Premier League under the German. T is for Ticket prices: There have been numerous protests seen at Anfield in the last few years over the issue of high ticketing system of the Liverpool board. The locals feel that they are being priced out of the game with a walk out being staged at Anfield a couple of years ago. There have been a lot of communication between the club and the supporter groups but a solution is probably a bit too far at the moment. U is for Undeserving players wearing the shirt: The famous Red of Liverpool has been worn by the greats of the game like Ian Callaghan, Kenny Dalglish and Steven Gerrard to name a few. But over the years, some undeserving players have represented the club who cannot be forgotten how hard one tries. Bruno Cheyrou, El Hadji Diouf and Milan Jovanovic are some of the worst players to ever play for the Reds. V is for Virgil van Dijk: I do not remember a transfer saga so stretched and so tedious than that of the Dutch defender. Liverpool have been reported for tapping van Dijk, have had to officially issue an apology and still be in the race for his signature. He has put in a transfer request, refused to train with the first team and is still a Southampton player. Talk about a full blown transfer drama! W is for When will we win the league? : It has been 27 years since Liverpool last lifted the coveted league title. Manchester United have surpassed us in terms of league wins, Arsenal have gone unbeaten and sugar daddy clubs have arrived and won numerous titles. But we are still stuck on 18. This is the question which every Liverpool fan thinks before going to bed every single night; when will Liverpool win the league? X is for Xabi Alonso: One of the classiest midfielders to ever play for the club, Xabi Alonso is considered as a cult figure in Liverpool. His partnership with Steven Gerrard, his passing range, his thunderbolts will always be a part of the club's folklore. He did not want to leave the club but the club hierarchy forced him to leave for gaining profits which in turn increased his popularity with the fan base. Y is for YNWA: The club's anthem, "You'll Never Walk Alone" can be said as the most popular footballing anthem in the world. The lyrics are powerful, the sound deafening which creates a perfect atmosphere for a Liverpool home game. Z is for Zonal marking: A defensive unit as questionable as that of Liverpool's opting a zonal marking is literally a joke. Jurgen Klopp needs to get rid of this system which again cost us two crucial points against Watford. The defenders are left in no man's land and hence a man marking positioning system is best for us.